I will be showing you different types of computer and I will show you which one I would recommend. 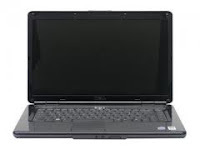 I would recommend the Sony VAIO E Series VPC-EB3J0E/WI and this is because it is the latest Sony and all Sony products have being a success and i have this laptop at home and it is faster on internet and it has good software and a lot of memory. Genuine Windows® 7 Premium 64-Bit. Hi-def content on the 15.6-inch HD widescreen LED display, integrated graphics. High-capacity hard drives up to 500 GB3 can store up to 60 hours of Hi-def video or up to 125,000 MP3 songs4. The Lenovo G560 notebook helps you take on multiple, mega-sized tasks and complete them quickly and efficiently, giving you more free time. The Lenovo G560 comes with technologies and features designed to make things easier. The new and improved Lenovo Energy Management provides not only extended battery life and long-term durability, but also keeps noise to a minimum with intelligent fan control, so you can concentrate on your work. The Aspire 5742 meets your daily computing needs with blazing processor performance and impressive graphics. HD media playback offers richer entertainment at home or on the road, while boundary-free wireless communication keeps you in touch with family and friends all the time. What's more, Acer's special 16:9 Home Touch Design provides simple usability for more relaxed computing. The 15.5-inch 16:9 LCD screen strikes a perfect balance between view ability and easy handling and it offers up ample space for web surfing and gaming. The way you enjoy your VAIO E series is up to you, but no matter which room you take it to, you can always count on a beautiful view. VAIO E series is equipped with Intel Core i3 processor, as well as Intel HD graphics. They offer a satisfying experience whenever you view a high-quality movie or play a graphics-intensive game. Ticketamerica.com has tickets for katy perry and as well as david gray tickets and kesha tickets. Remember, they have katy perry tickets!